Sightseeing in DC is one of the most common activities that visitors (and even locals) get involved in. Why? The answer is pretty clear — there is just so much to see and check out in D.C.! So many historic sites, monuments, buildings, and places to see. Sometimes, there are so many places to visit that it can be daunting trying to plan a trip. For instance, there’s the historic National Zoo, Rock Creek Park, not to mention all of the famous downtown capital statues and museums. The Segway Tour has become one of the most iconic and famous tours associated with Washington D.C. Segways are an exciting way to see sights up close and personal without tiring out your legs walking all day. 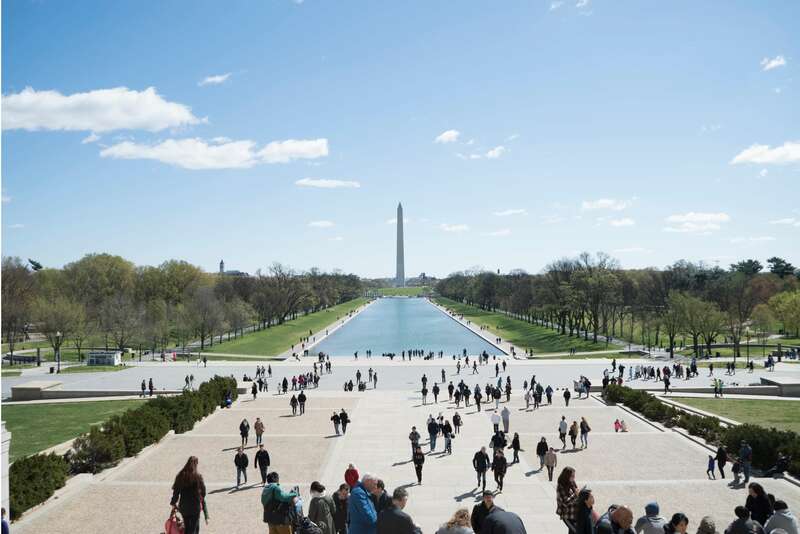 For a wide range of Segway tour options, check out “Segs in the City”— they offer guided tours of DC monuments, memorials, art galleries, the Supreme Court, the White House, capitol buildings, and more. Check their site for different tours and package options. Bikes are another efficient (and eco-friendly!) way to get around in DC. Guided bike tours are awesome because they tend to let you cover more ground than a segway or walking tour. At the same time, you can get a healthy dose of fresh air and exercise! Check out Bike and Roll DC for five-star tours and fun group events. Their guides are extremely knowledgeable and friendly. For those who just need a bike to get around town, DC’s Capital Bikeshare services can be extremely useful. The city of DC has provided over 3,000 bikes at over 350 bike station locations throughout the city for exploring, commuting, or simply joyriding. The classic DC sightseeing tour is the walking tour. This is best for seeing a few spots up close and in-detail. You can simply take a cab or an Uber to your destination, and meet up with the foot tour group. Again, a guided tour would be the way to go if you’re looking to maximize your learning experience. Free Tours By Foot offers licensed, local tour guides to lead tours at no upfront costs. Even locals enjoy joining these groups to explore the city and learn about the great history of DC. Check them out! Lastly, DC bus tours are perfect for those who want to see many parts of the city in a short amount of time. In particular, open-top double-decker buses are ideal for a “bird’s eye-view” of monuments, famous DC streets, and other sights. For a great time, check out Big Bus tours. They have a large fleet of double-decker buses ready for people to hop on at any time. Enjoy live commentary on selected routes and also digital commentary in 8 languages on select routes. Are you interested in living in one of DC’s most charming, bustling communities? Contact us today at 5333 Connecticut Ave. apartments. We have floor plans and options to get you started on historic, luxury living in DC today!